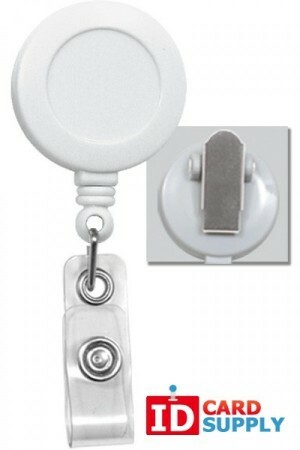 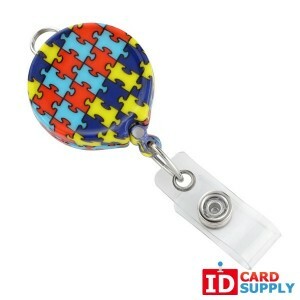 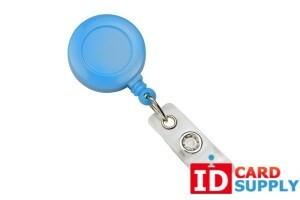 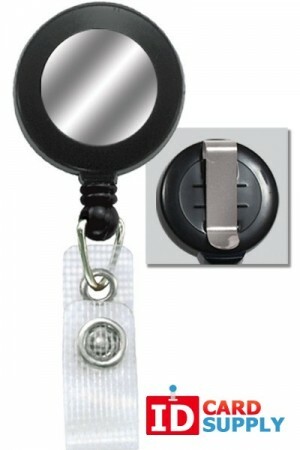 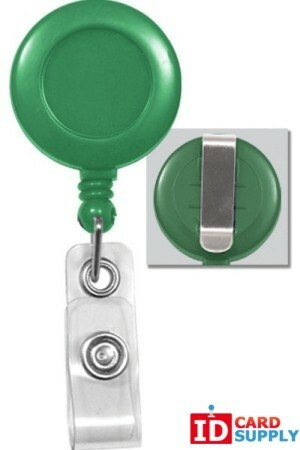 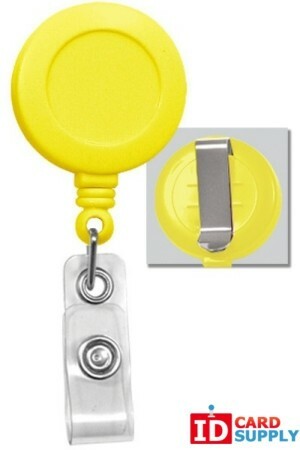 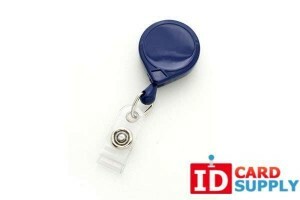 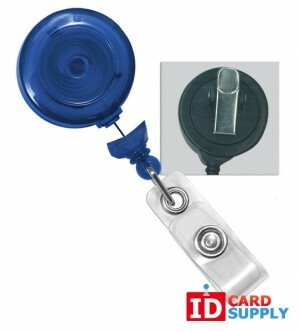 Round Badge Reels by IDCardSupply.com | Call 1-844-MAKE-IDS! 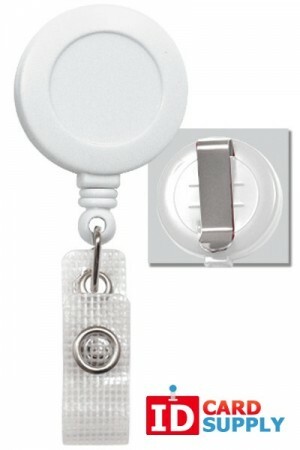 Round badge reels have a discreet profile that helps them to fit in with the look of your staff or guests and to maintain a professional appearance. 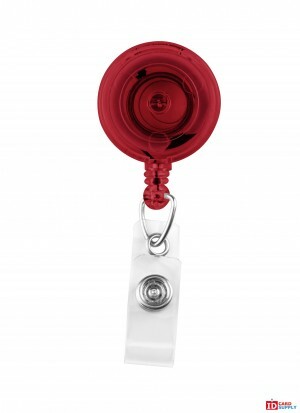 Because we sell our round badge reels in a variety of colors, you can also precisely match the reels to the color of your uniforms so they will be even more subtle. 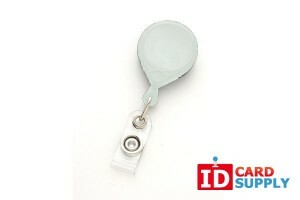 Why not complete the look with our colored PVC cards? 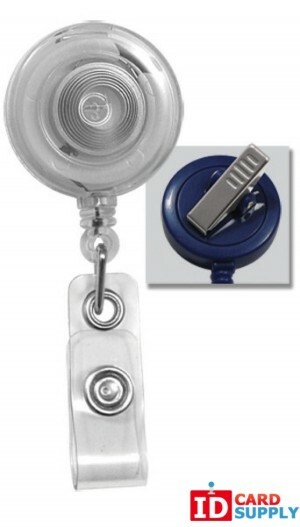 All our round badge reels boast the highest quality construction so they won't wear out and won't get jammed. 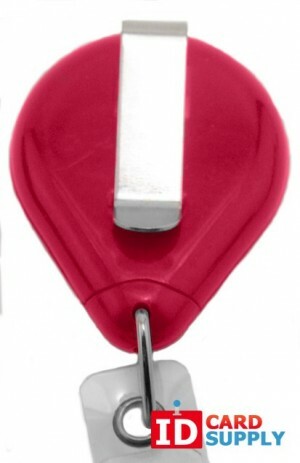 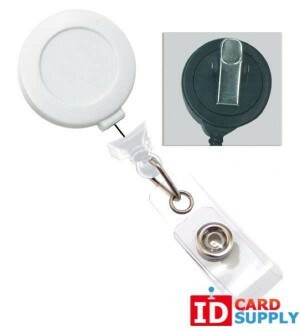 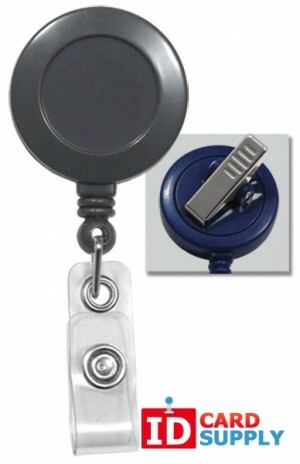 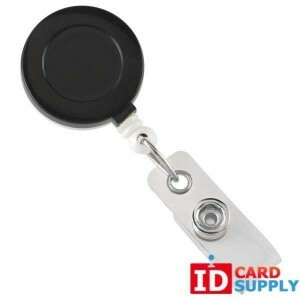 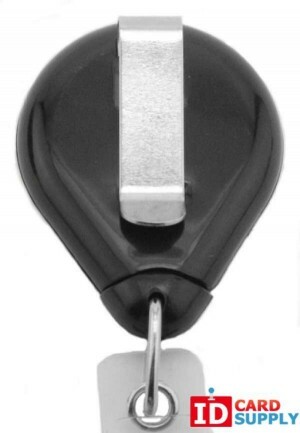 Badge reels from IDCardSupply provide the maximum security for ID badges and at the same time make them easier to reach and manipulate.